A brake fluid flush of the front and rear brake systems on your Harley Davidson has always been an important service point on higher mileage services. With the introduction of DOT 4 brake fluid systems, and more currently, ABS brake systems, replacing brake fluid has become more important than ever. A brake fluid flush is important, not only to maintain correct brake function, but for continued rider safety. 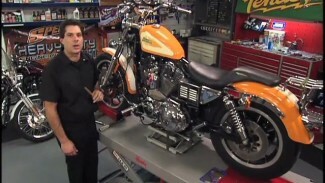 Harley Davidson has actually issued a bulletin that stresses the DOT 4 brake fluid be changed every two years. 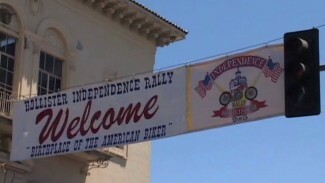 Harley has also gone further and issued a recall on 2008 to 2011 models that were issued with ABS braking systems. 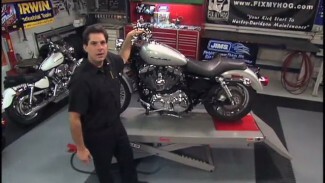 The issues with Harley Davidson ABS systems have become widespread and common. In fact, if your Harley Davidson does have ABS brakes and you have not done a brake fluid flush and replenished every two years, you should expect to have an issue. When the ABS module or modulator fails, it is a costly repair. Not only is the replacement ABS unit expensive, but the dealership will have to bleed and marry it to your bike with their Digital Technician. To service the ABS brake systems, the dealership or an independent shop that has a Centurion Super Pro (or similar software) will either draw or push fluid out and into the system from the caliper(s). They will then manually bleed the system and finish by bleeding with the computer. The computer rapidly actuates the ABS module. This action not only bleeds out any possible air but also moves the internal valves. When a unit fails, it is often because of the valves becoming stuck or frozen within the ABS unit. This is why the rapid actuation of the valves is so important. Most riders will be able to flush, replenish, and bleed their brake systems at home without the need of a specialty tool like the Digital Technician. It is completely possible to correctly and thoroughly flush your ABS system without the use of computer software. Follow the procedure that Mike demonstrates in this video. As long as no air is introduced into the the system. Your brakes will function correctly and your ABS light will not stay on. After a brake fluid flush and bled, you can take things one step further. Ride your bike in a parking lot, away from obstructions, sand, or traffic. Aggressively actuate your front and then rear brake levers to cause an “ABS event”. This action will move the valves inside the ABS module, effectively performing the same procedure as the computer. If you do not feel comfortable or safe in attempting this, we suggest finding another rider who is more experienced.